One might consider it wise to steer well clear of any plant with a latin name ending foetidus or foetidissima. After all the epithet means bad-smelling, or having a fetid odour; something most of us could live without in our gardens. Anyone with dry shade should think again, as this would exclude two terrific plants which offer year-round interest, if not excitement, Helleborus foetidus and Iris foetidissima. Helleborus foetidus, pictured above, is otherwise known as the stinking hellebore; a tough, architectural plant that produces flowers from the depths of winter until early spring. Iris foetidissima, better known as stinking gladwin, has a peculiar scent when crushed, described as ‘beefy’. 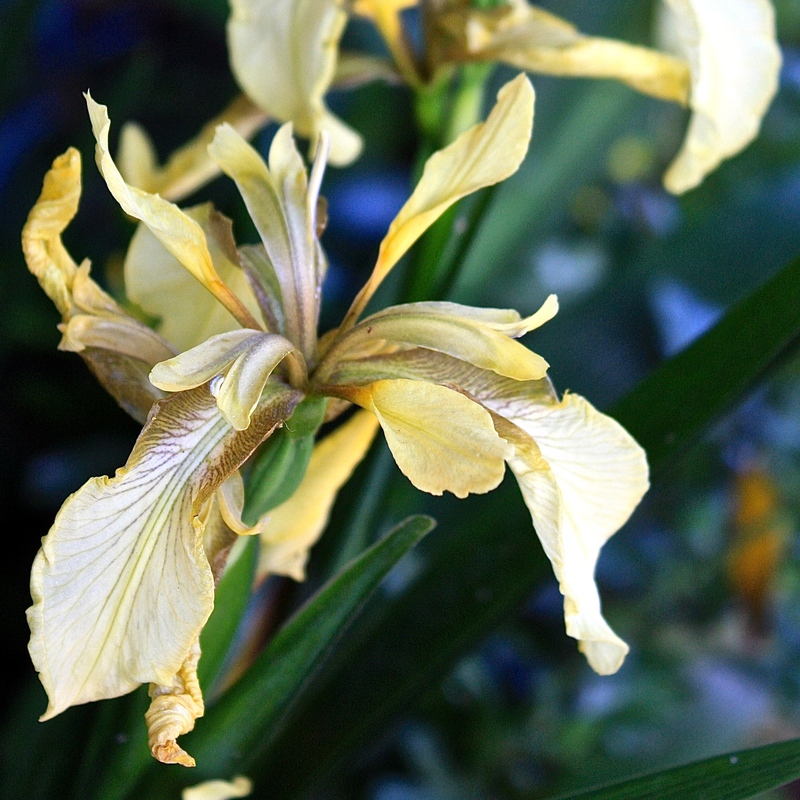 Track down the unusual pale-gold form, Iris foetidissima var. citrina. In winter you’ll also be rewarded with bright capsules of plump, scarlet seeds. Left undisturbed neither plant will offend your nostrils, but will repay with evergreen foliage and plentiful seedlings for sharing with friends ….. and enemies! The Iris is such a beautiful colour, lovely photograph too. And why would you want to crush your Irises? I have both of these and I have never noticed the smell. I love them but they tend to seed around rather over enthusiastically in my garden.